You want to be happy. Want to have your mood changed and need a dose of neurotransmitters? What you need now is not therapy, but dance class. At at dance studio you can get introduced to some of the most famous dances the world has known. 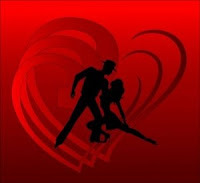 Tango is an excellent dance on the menu. Originating in Buenos Aires, Argentina, and Uruguay and spread to rest of the world. Berger, a renown psychologist observes "On a physiological and psychological level, humans like order and form, and the rhythm of dancing to music provides that satisfactory patterning." Man has known this secret for thousands of years, music is food of the soul and activates the brain's pleasure circuits. 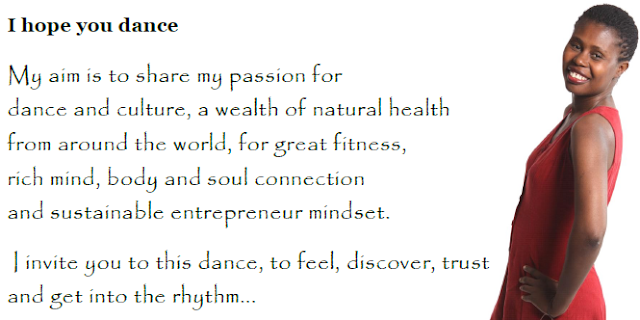 When this rhythmic music goes with perfect symmetrical movements of the body it's near bliss. In ancient times dance became a method of worshiping gods. It established a true link between the Creator and Creation. 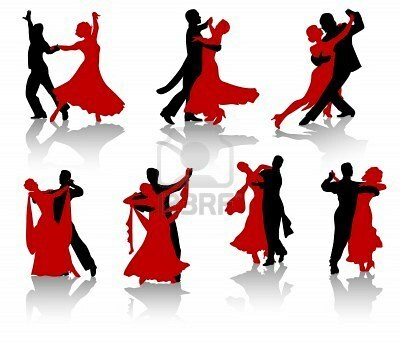 One interesting study correlated the patient's newly acquired Tango dancing hobby with greatly reducing the symptoms of Parkinson's disease. As Tango uses several forms of movement which were ideal for these patients compared to a group of patients who were just given exercises. The other benefits of Tango are cardiac health, memory power, and better balance. It is not a loud and flashy dance, but very calculated. 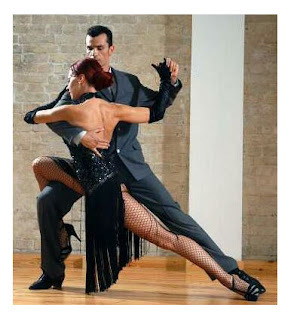 The Tango is danced in a closed position and the lead (typically the man) should place his right hand with some pressure against the middle of the woman's back. The lady's left hand will be flat. She will place her left hand around the man's shoulder putting pressure with the thumb of her left hand against the shoulder. The lady's hand should be parallel to the floor. The palm of the man's left hand and the palm of the woman's right hand will connect with each other and be held at eye level. The woman will stand to the man's right side and should remain there. The man can help this by making sure his right hand stays directly in front of the right side of his chest. 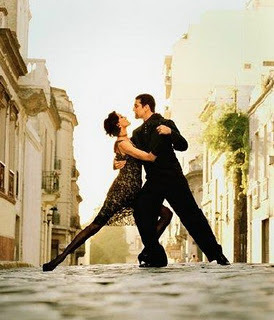 Dancing the Tango can feel awkward at first because of the close proximity of the other partner. However it will be comfortable and natural after practice. Once the basic steps are learned for Tango you will be ready for advanced patterns like promenades, fans and turns. Salsa, waltz Foxtrot, meringue, hustle, quick step, rumba are the other prominent dances which subject you to a high degree of physical activity enabling the brain to release endorphins- brain chemicals that make you tolerant to high pain, and enhance euphoria and a content mood. Researchers in University of London found out that patients with anxiety were fully relaxed in a modern dance class compared to three batches of anxiety patients in a music class, math's class and an exercise class. In a Waltz (dancing) class cardiac patients developed elastic arteries faster, compared to those who were engaged on a bicycle or treadmill. In ancient Egypt belly dance was the best source of mood boost. When you are watching a particular type of dance the neurons activated in your brain will be the same as those in the dancer. Therefore you too will experience the same moments of thrill and joy the dancer is experiencing. You will find the audience in a dance equally happy and replicate the feeling of the dancer. MRI scans have evidenced these facts. In a conscious state you find it difficult to process your feelings many times. Dance comes to your rescue. You express yourself physically and emotionally. Your blocked emotions find an outlet into motions letting you take back control of your life wherever you have failed to take control. Please take a moment to tell me about your observations or any particular comment on Tango Dancing Boots Your Mood Research Shows. About the author: Ingrid Michaelson is a 20 year instructor and career ballroom dancer.